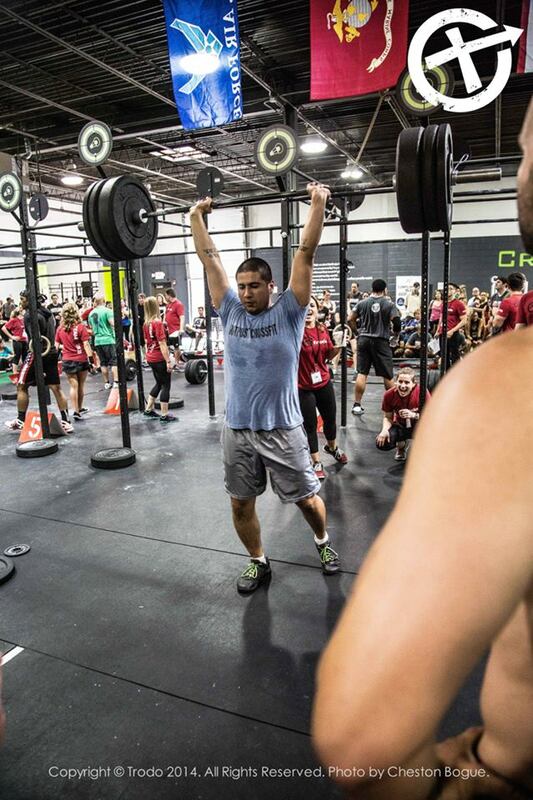 Outpost CrossFit Head Coach and Co-Owner Ismael Rosa, II is a lifelong athlete. He has excelled in sports that require explosive power, speed, tactical precision and situational awareness; Tae Kwon Do, Soccer, Wrestling and Track/Field. From the Illinois Olympic Development Program (IODP) to the collegiate circuit he lead teams to championships like the 1995 CLC Lancers, who went on to win the Skyway Conference Championship in overtime. After which, he chose to play at Northern Illinois University. He has a Bachelor of Science degree in Human-Computer Interaction from DePaul University, as well as, 24 Masters credit hours in Bilingual/Bicultural Education from Northern Illinois University and an Associates Degree from the College of Lake County. Ismael is always on the look out for extreme sporting events. He has competed in several extreme sporting events including the Navy SEAL Fitness Challenge and Warrior Dash (twice). In Warrior Dash 2010 Midwest Division he placed 131 out of 602 in the mens 30 – 34 age bracket or 761 out of 3,041 males. He’s effective at programing for the individual seeking career, sport or lifestyle-specific performance training such as the United States Marine Corp. Combat Fitness Test, Reconditioning, Golf, Army Physical Fitness Test, young athletes and Moms-to-be. How CrossFit found him: At a local globo-gym he was approached by a trainer who had recently attained his Level 1 Certification. It was “quick” WOD; 500m Row and push press. Quickly, he was enlightened. Even though he was floored and out of breath the surge was undeniable. “This is it!” he thought to himself. Sophia Rosa, Coach and Co-Owner of Outpost CrossFit has been a CrossFit athlete since May of 2010, trained by Head Coach and Owner, Ismael Rosa. Sophia’s athletic history is best marked by her years as a Cheerleading Captain and Coach at Warren Township High School. Notable accomplishments in Cheerleading include leading her varsity squad to place 5th in state (1995), and later Coaching her freshmen to place 3rd in regionals (2000). CrossFit has inspired life changes for Sophia so profound that she made a career change to help share the CrossFit lifestyle with her community. She enjoys training new, returning, young, and experienced athletes. She also specializes in training Cheerleaders (the ultimate CrossFit athletes), Moms-to-be, and female models/actors/performers. After working as an actor and director for 12 years, Sophia has comprehensive knowledge of body image issues that affect performers and the demands placed on their bodies as their primary tool of performance. Her background in acting also provides expertise on proper use of the voice, a key component of Cheerleading. Her experience as a mother inspires her dedication to creating strong moms. On her free time, she can be spotted Substitute Teaching at Warren Township High School and teaching Clarinet and Piano to students at the Veritas Learning Center. Sophia is a CrossFit Level 1 Trainer. She also holds a Bachelor of Arts degree from Carroll University in Acting and Directing and a Theatre Education Certification obtained from The University of Wisconsin-Milwaukee. Sophia is Vice-President of the Gurnee Women’s Business Association. How CrossFit found her: Training with Ismael Rosa inspired her desire to prepare her body and mind for the unknown and unknowable. His expertise and professional training in the field of CrossFit quickly transformed her as she pursued her goals. 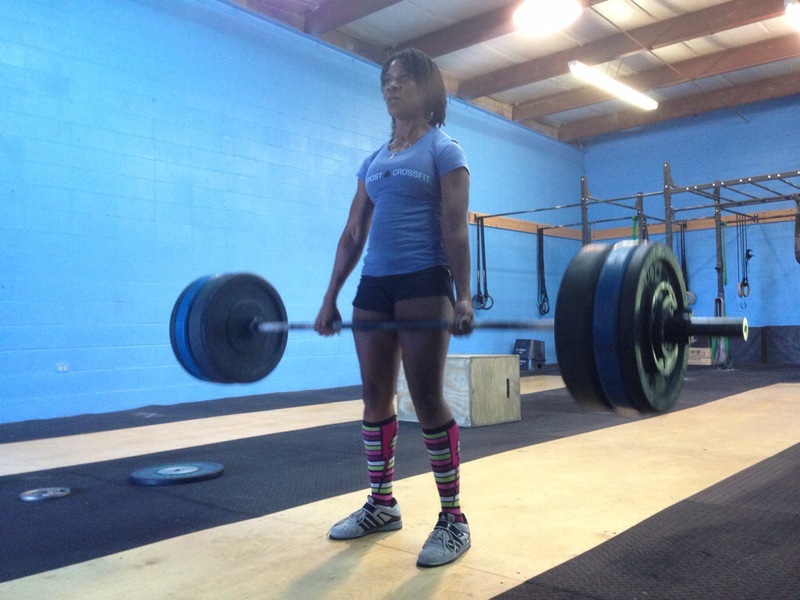 Rosalynne “Rosi” Pippins has been a CrossFit athlete since she discovered Outpost CrossFit in July 2011. A former Navy Sailor, (1995-2002), she served with the rate of Dental Technician. She completed her Fleet Marine Force training earning her the rate of FMF Technician. During her Naval commitment she was stationed at Okinawa, Japan; Cherry Point, NC and Great Lakes, IL where she worked as the Command Master-At-Arms. Rosi has always had a love for fitness, serving as physical fitness coordinator for her commands at Cherry Point, NC and Great Lakes, IL. Rosi is a CrossFit Level 1 Trainer. She obtained her Bachelor’s of Science in Nursing from Loyola University, with honors. She is a certified critical care registered Nurse currently employed at Northwest Community Hospital. She is an ACLS advance cardiac life support and CPR provider. Rosi enjoys motivating athletes to push towards their goals and to not settle; encouraging them to always keep up the work and maintain their technique. 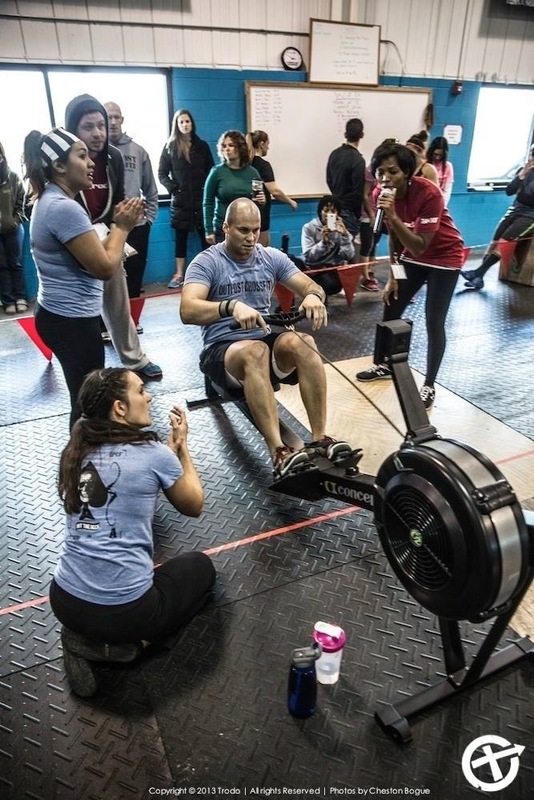 How CrossFit found her: Rosi found Outpost CrossFit and was instantly impressed with the level of expertise and skill demonstrated by her coaches Ismael and Sophia. She also loves the feeling of community that Outpost provides. Jorge Paz started CrossFit in San Diego in 2012 and immediately saw that the CrossFit program was unparalleled in health and versatility. Shortly after arriving in Illinois, he found Outpost CrossFit and realized it was the place for him to be. Currently in the Navy, Jorge is a Gunner’s Mate and is currently stationed at Great Lakes Naval Base as a weapons instructor. He was also previously stationed in Brunswick, Maine and San Diego, California, where he was deployed various times throughout scattered regions of the globe. Fitness has always been a part of Jorge’s life, mainly due to the nature of his job. Some of his primary duties include tactical weapons handling, close quarters combat, maritime boarding operations, and search and rescue operations. Jorge found that CrossFit made all of these tasks easier, re-enforcing how invaluable this program is. He also found that CrossFit isn’t all about the fitness aspect, but also about a community that is comparable to tight knit family circles.